The Tzevaot company was started back in 2010. Tzevaot Hand Pans are definitely not the cheapest Hang reproduction available. 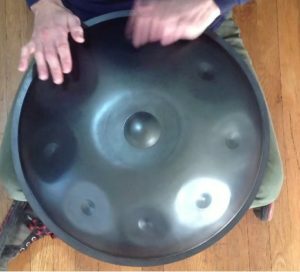 There's a lot of cheaper options available out there, but if you are looking for something that is similar to the PANArt Hang, and aren't willing to pay over $4,000 USD to get an original Hang, then this handpan may be the option for you. Each Tzevaot instrument goes through a heat treatment process called steel nitriding. This process diffuses nitrogen into the surface of the metal creating a case hardened surface. The instruments undergo this process to protect them from rust and make them more robust. I suggest making sure that the instrument you decide to purchase has undergone this process otherwise it will rust. Most hand pan creators treat their pans with this process, but please be careful and ensure the pan you buy has been treated. Where to buy these hand pans? Amazon have two tuning options available, check what Amazon currently has in stock using the button below. What sets these hand pans apart? These Hang replicas are licensed and made according to the patented PANArt method. If you don't know who or what PANArt is, you can read about the history of the Hang here, but to sum it up; PANArt is the original creator and maker of the Hang. So what does this mean? It means that these instruments aren't just some backyard job done out of Bali. They're made just like the original Hang and (arguably of course) sound just as good as the Hang. It's kind of obvious that Tzevaot hand pans are going to be of higher quality compared to most hand pans that aren't made according to the PANArt method, and why wouldn't they be? PANArt had over 10 years of experience making hang drums. That's a lot of knowledge that has been passed on to Tzevaot. Check out the image on the left comparing the quality of a Tzevaot pan with a Bali Steel Pan. As you can see, the Bali Steel Pan has a lot of ripples and bumps in it, where as these pans are much smoother. The reason for the ripples is because many hand pans are hand made and hammered into shape. 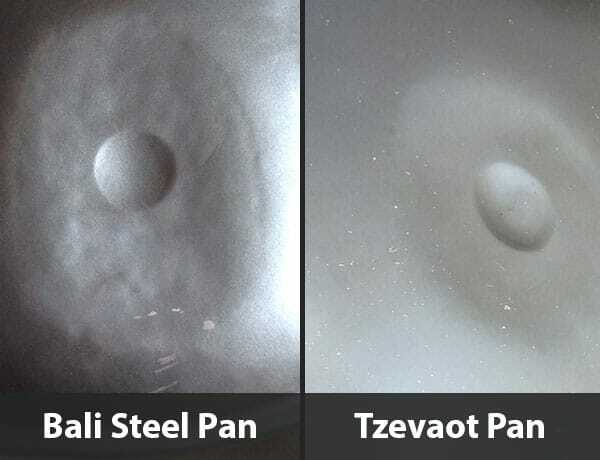 Although the manufacturer quality of the Tzevaot pans is higher than cheaper alternatives such as the Bali Steel Pans, there isn't THAT much difference in sound quality, sure they sound different. But do they sound better? I suppose that's entirely subjective. If cost an important factor to you, you may very well want to consider a hand pan out of Bali or Vietnam. I don't mean to talk down the Bali Steel Pans, because they're great sounding instruments. 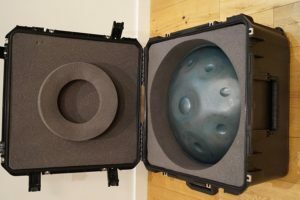 My point is that if you're after the best of the best, and you are not willing to compromise on quality for a cheaper instrument, the Tzevaot Hand Pans may be the best option for you.